The former American Press Institute (API) building, Virginia’s only building designed by architect Marcel Breuer and a noteworthy example of brutalist architecture in the U.S., can be demolished to make way for a residential development, under a ruling made Tuesday by the Fairfax County Board of Supervisors. The board voted unanimously to allow rezoning of a parcel in Reston, Virginia that contains the former API building, a 1974 structure designed by Breuer, and to permit its destruction to make way for a replacement project. 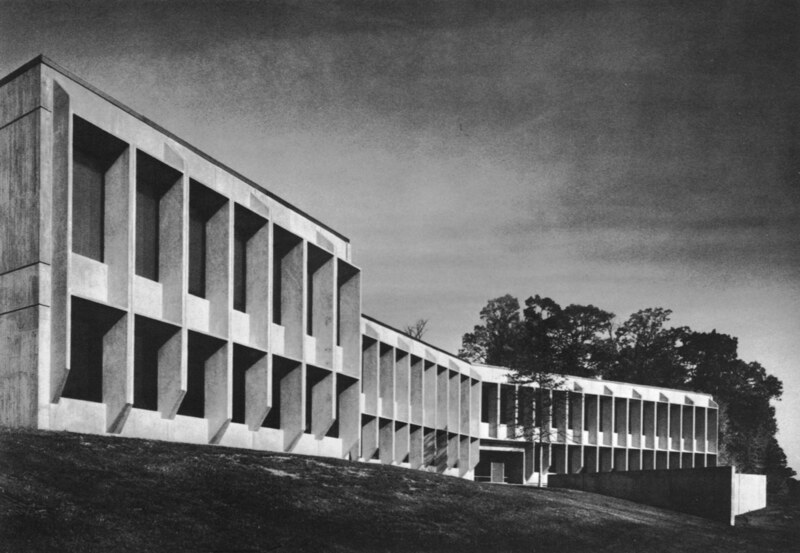 Preservationists and historians have argued that the vacant API building on Sunrise Valley Drive is a significant example of Breuer’s work and should be recycled, possibly as a regional library or home for a nonprofit organization. They contend the Breuer building should be saved because it was the first building in Reston designed by an internationally prominent architect, that it was a significant example of Breuer’s sculptural use of precast concrete panels, that it was important in developer Robert Simon’s early plan for Reston, and that it was associated with a long list of noteworthy journalists. More than 1,600 people from North America, South America, and Europe have signed an online petition to preserve the building. Earlier this month, public officials in Atlanta voted to save and renovate Breuer’s central library building there, after it was proposed for demolition. The county’s Planning Commission last month voted not to recommend demolition of Breuer’s building, giving preservationists hope that it might avoid the wrecking ball. But county officials said the API building is not protected by any landmark status, that its significance was not noted when planners prepared a plan for higher density development in the area, and that the county has no funds to save it. Supervisors also noted that the housing proposal, by Sekas Homes, is consistent with the county’s plans for Reston and had to be considered on its own merits. Riordan said today that her group will not appeal the decision. “Mounting a legal campaign like that would be costly,” she said.